And then the camera came out. And so did the price! I'll talk about this last, but have to say up front the price probably shocked most of those wanting to buy the Df, when it really shouldn't have. Nikon have a habit of pricing higher than the buyers expect. People should therefore have expected something somewhat dearer than the D610 based on the level of hype that Nikon brought to this introduction. First off, what is the Df and who is it meant for. 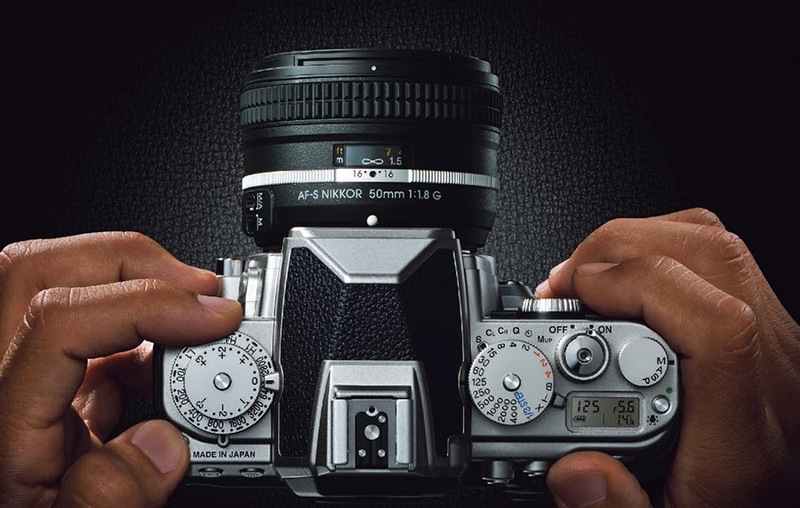 Nikon says that the Df stands for Digital fusion, merging the digital age of photography with the simple (they suggest 'pure' through their teaser campaign) controls that were found on the film era cameras. So we have a dedicated shutter speed dial, ISO selection dial and exposure compensation dial pulled straight from the FM era film cameras. The cynic in me sees this more as a "placate the hordes" with their weird request for a basic camera and basic camera controls. There is nothing wrong with this. I for one yearn for a an FM based digital camera (see this post that I wrote on such a camera). So the Df is supposedly designed for the travel and street photographer who wants a basic small camera. Does it fulfill this? The body fits the bill. It's a magnesium alloy chassis and body exactly like the top end pro bodies. It also has substantial weather sealing front and back like the D800 and the D4. I.e better than the D610. It then has the phenomenally good 16mp sensor found in the D4 which means that it should be able to handle low light shooting beautifully. The lower pixel count also means that the camera will be more forgiving when used with older manual focus lenses - something that the Df is alone in being able to do amongst Nikon DSLRs. Like the film F5 and earlier pro bodies, the Df has a fold away index tab around the mouth of the camera's lens bayonet fitting. This means that the camera can mount and meter with almost any lens ever made by Nikon. The D4 can't do that and is restricted to lenses that have the Ai tab (automatic indexing - a feature Nikon introduced in the late 1970s to allow the camera to more accurately meter couple with the lens. Prior to the Ai tab the lens had what were affectionately called "rabbit ears" into which a small pin would be inserted to allow meter coupling between the lens and the body) on them. The thing is though, how many people actually still have non-Ai lenses. Those that do have usually Ai-d them by cutting a tab in the metal around the mount (which could even be officially done to a lens when the Ai tab was initially introduced). More useful perhaps than a folding Ai tab would have been a manually locked mirror-up position which would enable the use of the early fisheye lenses that have a protruding rear element that required the raising of the mirror and the use of an accessory eye-piece. So the body is pro level and can use more than 90% of the lenses ever produced. It has an excellent 100% coverage viewfinder (sadly without split-prism focusing screen which would have made focusing all those old lenses a little easier). The shape is reminiscent of the old Nikon FA which was an absolutely revolutionary camera when it was first announced in 1983 as it was the first camera to feature what we now call Matrix metering. It also has the small grip reminiscent of he the FA and the F3. This is a good feature to have as the early bodies were a little harder to hold, or so many people say. Personally I never had an issue with my little FE2s that were an absolute joy to use. What is different to the old manual focus bodies is the inclusion of two command dials along with the traditional dials. This means that the bodies can still select 1/3rd stop increments in shutter speed if the shutter speed dial is set to 1/3 STOP. But, and this is a big but for me, the rear command dial does not control exposure compensation in Aperture Priority mode. Rather you have to take the camera from your eye and set the exposure compensation via the command dial on he the left hand side of the body. This is a design flaw in my opinion and was a design flaw when it first appeared on the original FE. Personally, I feel that that the design layout of the F4 would have been a far better choice (the F4 is in my opinion the best designed camera from a functional point of view that has ever been produced. The Canon T90 probably ties with the F4 in this regard). However, Nikon made the Df specifically as a 'retro' digital Nikon. It is meant to be like the old FE/FA series of cameras, foibles and all. Reading the Nikon literature on the camera, it becomes obvious that the designers are truly proud of this project as they point out the little nuances that hint back to the film camera of the 70s and 80s. It is a good looking camera. I love the way it looks. I would suggest it is a little too large as it is closer to the D610 than the original FA though. I also love the dials, although suspect that they would be redundant to my usage of the camera. I adore the look of the prism with it's leatherette cladding. It's also interesting to note that Adorama has announced that significantly more silver Dfs than black Dfs have been pre-ordered. Basically more people are going to buy this camera because of how it looks than how it works. I think this is sad as Nikon had an opportunity to really impress Long-time Nikon users by producing a camera that was both a hark back to an earlier stage in photography, but also the ultimate challenge to mirrorless cameras that nibbles away at the sales of the DSLRs. The Df will sell well, but not as well as it should have if a few more little points were taken into consideration. These points are niggles, but niggles that may hold back sales. First, size. The camera is not as small as people hoped it would be. If it had been really FM sized there would be more orders. Second, the controls. The very feature that Nikon are punting will ultimately irritate a lot of users. Fujifilm did a better job of the restro controls in my opinion. You can still work them without taking your eye from the finder. If you use aperture priority you are forced to take your eye from the finder if you want to use exposure compensation. On the plus side though, the command wheels mean that you can use the camera in manual mode exactly like you would a conventional pro-level DSLR. I suspect I would ultimately use manual mode over aperture priority with the Df (the irony being that users will avoid the dials that are the selling point of the camera). Third, the battery. Yes, Nikon are claiming impressive figures for the small EN-EL14a battery (same as the D3200), but the problem is that it is a different battery to that of the D610 and D800, meaning that if you want to use a D800 and a Df side by side you have to have two sets of batteries and two battery chargers. Suddenly the D610 makes more sense as a backup than the Df. This is heightened by the fact that the autofocus system is plucked straight from the D610, so in theory they perform identically in the focusing department. Then there is the price. Admittedly expectant buyers were being overly optimistic with their predicted price point when the teasers first came out. However, the Df is probably overpriced by about $500. Buyers are going to compare this to the D610 and are undoubtedly going to consider things like pixel count, the ability the attach a vertical grip and of course the considerably better price. Considering the Df is a parts-bin camera, it should be cheaper. Then in the insane world of pricing, the Df is actually priced higher than the D800 in South Africa...by US$200 (as of this post)! So this means that buyers are ultimately going to buy the Df not because of how it works, but because of how it looks. This doesn't mean I don't want one. I desperately want one. If this is the closest thing to the digital FM that I have written about before, then I want one. But I don't need one with the niggles that I have mentioned. So it becomes a question of desire/want versus need as a photographer. For that reason I probably won't own a Df until I either find one secondhand at a ridiculous price or win the lotto and can afford a whim. I guarantee I would love using the camera, but it won't make me a better photographer. Then again there is the wonderful 16mp sensor housed in the Df and that is a reason to look at this camera. If you look at it as a cheaper D4 (just don't mistake that as meaning cheap or affordable as this camera is for the well-heeled) then the Df sort of makes sense (just ignore the battery and the exposure compensation dial). Whether the camera is any good or not as a photographer's tool, it is a good marketing gimmick. Despite what many disappointed Nikon users are saying about the Df, it is a clever camera for Nikon. It just could have been a little more clever. And really Nikon, stop punting the fact that it took 4 years to develop. Considering the amount of parts recycling and even the flood in Thailand, this camera should have been brought out 2 years ago (admittedly without the D4 sensor). And that price. What should have been a sellout camera, probably won't be because of that. The broohaha has died down and the Df is now selling around the world. Nikon claims that that they are struggling to keep up with demand (which is a load of .... *fill in the gap*). Inventory is hanging around all over the place and unless you are actually in Japan, you won't have to wait for very long if at all to have one in your camera bag (Thom Hogan wrote about this phenomena and the fact that Nikon have mis-judged target markets and how many units to send on this link). First off the kicker - the Df is more expensive than the D800 in many parts of world (in South Africa it's a grand more) and the fancy 50mm with the silver is simply overpriced (hint - buy the body and get the standard 50mm f1.8 G if you want an autofocus 50mm). Say what?!?! More expensive than arguably the best all-rounder camera Nikon currently produces?!?! Yup. Ye Gods the thing feels like plastic. It looks beautifully chrome-like and rugged, but when you pick it up the illusion disappears. The D800 reeks of quality (QC issues aside when it first emerged). The Df does not. The dials, as nice as they are feel tinny. Nothing like those on the FE2 that sits behind me on a shelf. The literature says that the Df is built to withstand the elements, and maybe it is, but it doesn't feel like it will. Knowing how I abuse cameras the mode selector (lift and spin dial) wouldn't stand a chance. Even the rubber around the camera felt cheap compared even to that of the D600. In a straight fight between the D600 and the Df, I would pick the D600 (I'm not even considering the D610 at the moment and the D800 is a no brainer - it would be like asking a featherweight fighter to go up against a Mohammed Ali in his prime). The Df is lovely to look at and it has that tremendous sensor of the D4 (now replaced of course with a new 16mp sensor in D4s). It will produce magnificent images. But as a tool, a serious tool. I'm afraid I have my doubts now. Great review of a good looker, So what's your favourite "retro" digital camera? Hi Basil. As much as I love the idea of the Df (admittedly what I write is before having actually used it) I think that Fujifilm have married the retro design and concept with digital far better than Nikon have managed to. The XPro-1 is fantastic to use and possible to do so without taking tour eye from the viewfinder. My personal preference is to the XE-1 for it's smaller form factor, but they haven't actually come out with a dud yet (Zack Arias has a wonderful blog post on why he has ditched Canon for Fuji).